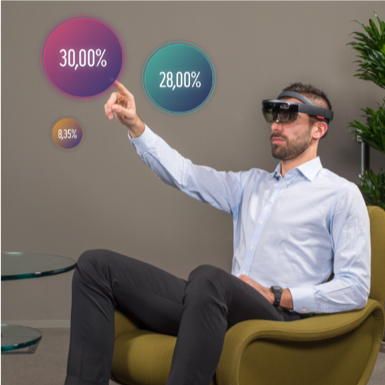 Widiba Dialog is the project born from the partnership between Widiba, Microsoft and AnotheReality: the first mixed reality app in the world developed for retail banking. A business and customer experience tool for financial advisors, using Mixed Reality computer graphics to deepen the relationship with the customer and serve as immersive financial data visualization. At the same time an interactive human avatar – using Microsoft AI conversational services of speech recognition & generation – is there to help performing basic banking activities.